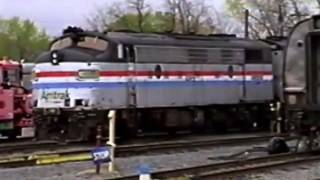 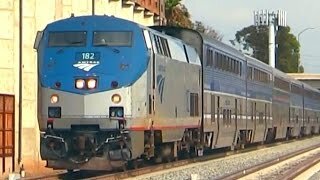 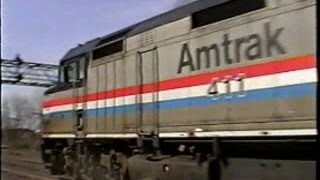 Clip 1: P32AC-DM #716 with a westbound Empire Service train at the Syracuse, NY station (SYR). 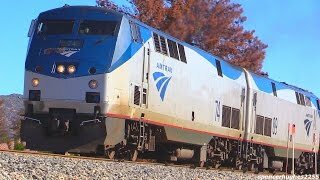 Clip 2: P32AC-DM #710 at Syracuse, NY with an eastbound Empire Service train. 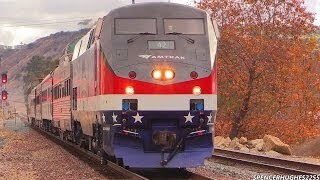 Clip 3: P32AC-DM #712 at Syracuse, NY with an westbound Empire Service train. 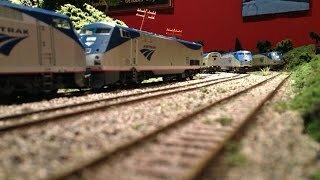 Clip 4: F40 #291 with an awesome K5LA leads the eastbound Maple Leaf through Centerport, NY. 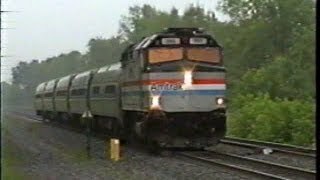 Clip 6: P32AC-DM #716 eastbound through Centerport, NY with a Sunday-only Empire Service train utilizing a Metroliner set of equipment (note the two food cars).